Do You Have FAQs About Laser Treatment? Without treatment gum disease poses a serious risk to your oral health. In addition to a myriad of uncomfortable symptoms, you can also increase your risk of adult tooth loss. Fortunately, we offer a number of treatment options, including an advanced option that uses dental lasers. Do you have questions about laser periodontal treatment? Answer: Be aware of any changes in your gums or mouth. Discomfort, redness, soreness, or bleeding can all be possible warning signs. You should see your periodontist for a thorough examination. The doctor can then tell you if you require periodontal treatment or not. Don’t ignore discomfort as the disease can progress and threaten the stability of your teeth. Question: What causes the disease to develop? Answer: The disease occurs due to gum inflammation, which causes the gums to pull away from the teeth and form pockets, which bacteria can invade, leading to the onset of periodontal problems. Factors behind the initial inflammation may include hormonal fluctuations, tobacco use, poor oral hygiene, or certain chronic illnesses. Answer: Using dental lasers the doctor can carefully remove the infected gingival tissue with accuracy and precision. The treatment requires little to no anesthesia, reduces the risk of infection, and the treated area will heal quickly with almost no bleeding. 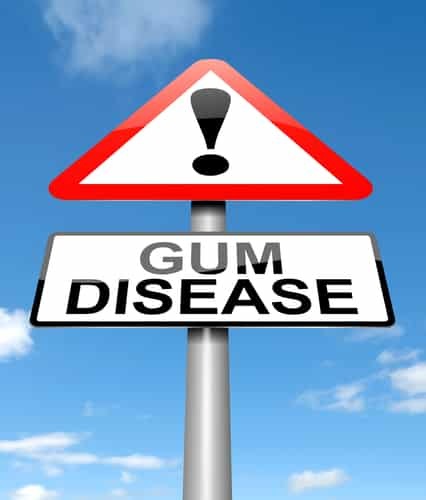 Question: Can I prevent the onset of gum disease? Answer: You can significantly reduce the risk of the developing gum disease. You should always have your teeth cleaned at least twice a year. You also need to brush and floss regularly. These simple habits can go a long way towards preventing periodontal disease.